Take the first step in becoming a NACE instructor by completing and submitting the Instructor Application to naceinstructor@nace.org. How often does an instructor need to teach? A minimum of twice per year. I do not have the certification, but I have education and work experience in lieu, can I apply? Yes; however, you will need to obtain the necessary certification(s). We are able to provide assistance. Teaching experience is not required, but highly recommended. How often are interviews held, and are there any alternatives that do not require travel? Currently, interviews are held 1-3 times per year. At this time we do not have an alternative to the in- person interview; however, we are currently researching alternative options. Do you have full time instructors? No, our instructors are contracted with NACE International. I haven’t been in the industry in over a decade, can I still apply? Yes, however, we encourage candidates to have continued professional development. How rigorous is the instructor training? Training includes, but not limited to; online introduction course and in class training with lead instructor mentoring during a number of courses. 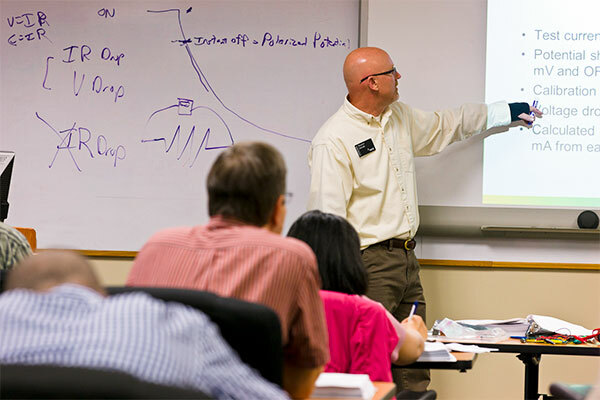 NACE, also, offers training for all instructors every three years. What is the expected time from application submission to approval as an instructor? This can vary, dependent upon factors such as time it takes candidate to submit all required application documents and candidates availability to interview in coordinated location. I have not taken the course for which I am applying to teach, but I have the necessary NACE certifications, do I need to take the course before applying? No, you do not need to take the course, prior to becoming an instructor. If contracted, you will be required to take the exam during your training. Do I need to know my exam scores for the course I am applying to teach? No, Instructor Relations Coordinator can gather those details from our database, along with certification and membership details. Can you use my work experience and references that were submitted for certification renewal? Background checks are conducted on all instructor candidates. Your written consent will be requested prior to screening.